Station No. 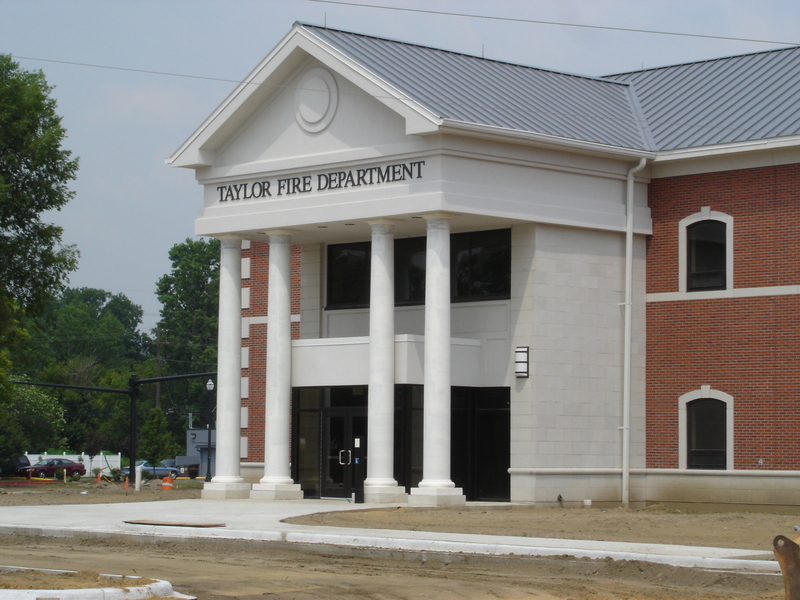 1, Taylor, MI - Redstone Architects Inc.
Redstone Architects was engaged to lead the design effort for the Taylor Municipal Complex Improvements. The work consisted of four projects to be designed and built fast-track. It included a new two-story Courthouse Building with three courtrooms and a new five-bay Fire Station with training facilities, complete living quarters, arson investigation and administrative offices. The building was put into operation in October 2005.